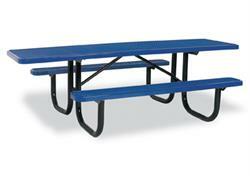 Looking for an outdoor table for picnics, al fresco seating, or other events? Find what you need from our wide selection. In choosing outdoor furniture, one of the most important features to consider is durability. Outdoor furniture is constantly exposed to the elements, including sunlight, rain, snow, and extreme temperatures. The furniture you choose must be strong enough to withstand all these. 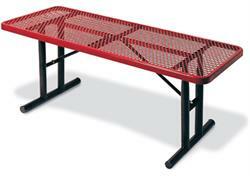 Our outdoor tables are made of top quality steel and thermoplastic to endure all kinds of weather conditions. 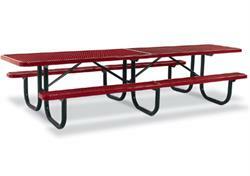 Powder-coated finishing keeps them dirt and stain resistant. Plus, our tables are highly portable and can easily be moved from one place to another. 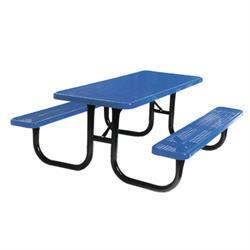 We carry a wide range of models, from stand-alone tables to tables with attached or separate seats. They come in a variety of sizes, including a 36-inch square top, a 46-inch round top, a 6-feet rectangular top, and more. Available colors include red, green, blue, black, and others. 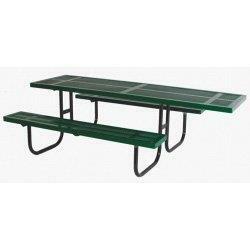 All are supplied by some of the top furniture manufacturers in California and the US. 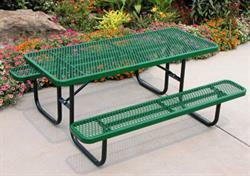 Shop our outdoor tables and find the perfect product for your needs.